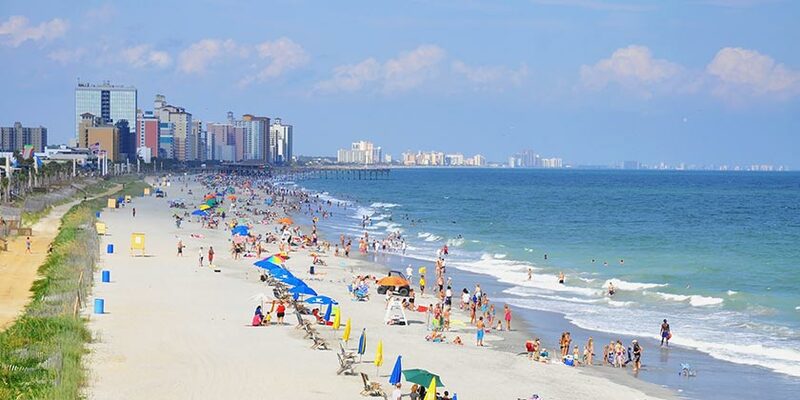 A Myrtle Beach vacation offers endless opportunities for fun and adventure. Take the kids to Alligator Adventure to see reptiles and wildlife. Experience historic plantations or thrilling ghost stories on a Carolina Safari Jeep Tour. Stroll down the Myrtle Beach Boardwalk to play arcade games or snack on local fare. For a more relaxing afternoon, find a quiet spot on the beach to read a book, go for a ride on a local dolphin sightseeing cruise, or find souvenirs at one of Myrtle Beach’s many shopping outlets. Enjoy an exciting musical show at The Carolina Opry or tour the Southern Folk Art collection at The Art Museum of Myrtle Beach. Discover all this and more during your Myrtle Beach vacation.